Ten years after Hurricane Katrina devastated the Gulf-Coast region Roger Griffith visits America’s most unique major city New Orleans during the memorials of the anniversary. In this his third extract he brings the story of ten years ago up to the present day. As the destruction of the Twin Towers in New York has proven, sometimes a building can be more than just bricks and mortar but a beacon of hope. One of the earliest regeneration projects was to rebuild the Superdome and open its doors for the following NFL season. This became a mission for those involved like the Superdome general manager, Doug Thornton who said ‘The Superdome took on a human characteristic. After Katrina it was beaten and battered and was on life support and some thought it would never survive but somehow, someway we came together as one team and for one purpose and brought it back to life.’ On the 25th September 2006, this dream came true as the Superdome re-opened after a $200m refit. U2 performed in front of a packed and emotional audience, before New Orleans favourite sons, the New Orleans Saints took to the field. Many of its team members had been involved in re-building projects and awareness campaigns. To complete the fairy-tale the Saints won their first ever Superbowl in 2009 to become World Champions in what the headline makers dubbed, ‘The Miracle in Miami.’ More importantly the city was briefly united again in celebration and the residents felt the triumph helped gain some respect from a nation that had been lost. 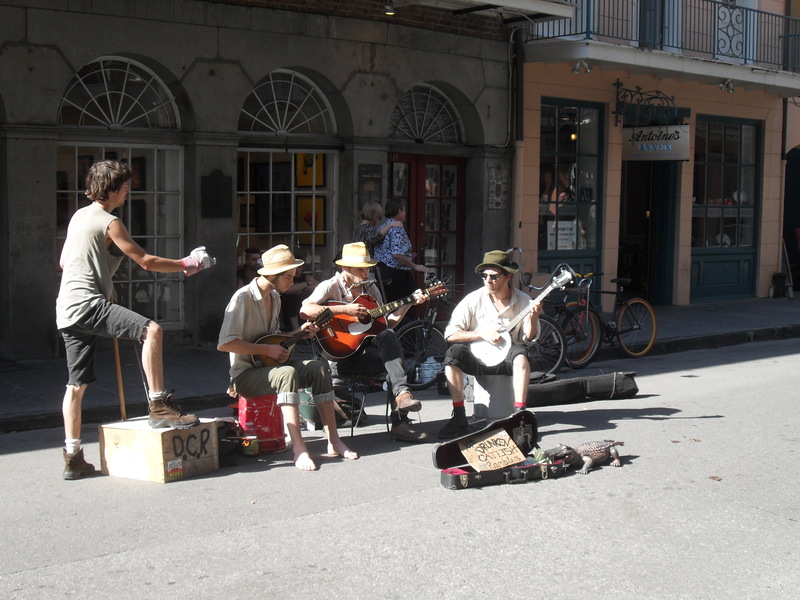 The French Quarter and Downtown New Orleans were also rebuilt in major regeneration projects. Sadly however, other poorer parts of New Orleans fared less favourably. 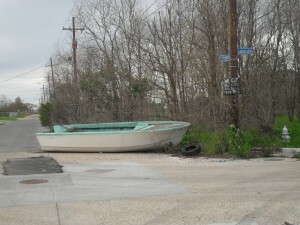 Hurricane Katrina was one of the worst natural disasters in US history but that just tells part of the story. The disaster planning and rescue mission along with the failure of levees were all man-made failings. The experts had correctly predicted the devastation but the authorities had ignored their warnings. It could happen again if the levee walls are not rebuilt properly and the arguments continue as to whether the protection is going to be adequate. Most of the Netherlands also sits below sea-level and they have spent billions ensuring their levees are sufficient and built to keep the waters at bay. As for President Bush, in his memoir Decision Points the former president bizarrely said that when rapper Kanye West criticised him by saying ‘that Bush doesn’t care about black people’ it represented ‘one of the low-points of his presidency’. What should have been a well-planned concerted rescue operation to one of its iconic cities became an American nightmare that left over 1,400 people dead and caused billions of dollars’ worth of destruction to property. For the residents in the poorer neighbourhoods of New Orleans, however there is no price that could compensate the feeling of government neglect as they attempt to rebuild its decimated communities. Regardless of whether race was a direct or an indirect factor in the lack of government response, it is widely acknowledged that poverty was the key factor of those who remained, either through choice or circumstance. Obama did accuse Bush of being removed and indifferent to the problems of inner-city poverty and my visits to the Deep-South and New Orleans in particular give me a stark reminder of the ever-widening gaps of social inequality on both sides of the Atlantic. His speech on Friday was well received here but as my hosts keep reminding me there is much work still to be done. It is within these poorer communities that I have lived and worked within at home and now become a keen observer of that I return to New Orleans to see for myself what has changed?